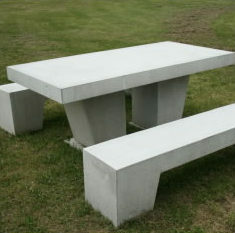 Custom Concrete Furniture & More: Get a Custom Concrete Table, Concrete Bench Top and Many Other Custom Products. Urban Paving take pride in being a flexible and innovative manufacturer of custom concrete products ranging from a custom concrete table or concrete bench top for your kitchen through to commercial products. 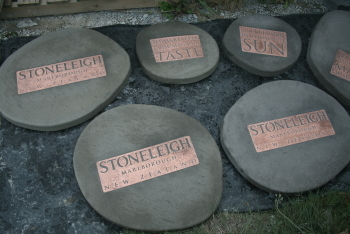 We have been commissioned to supply custom concrete items to both commercial and residential developments as well as Christchurch City Council projects over the years. 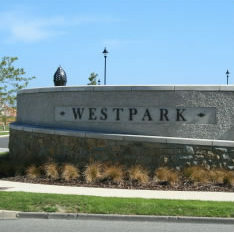 We have, for example, manufactured the concrete bases for new suburban bus shelters, traffic bollards for the Worcester Street and New World Fendalton car parks, and the concrete pergola features for the Northwood subdivision. 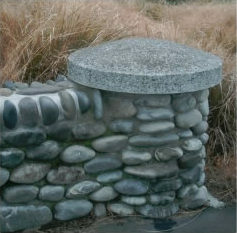 Other examples of our custom concrete projects include the concrete seating around AMI Stadium reserves in Charleston, concrete tables and seats in Addington and the Riverside residential development in rural Tai Tapu. 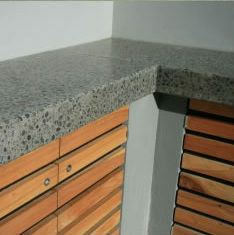 In the residential market, we have made concrete bench tops to create real eye-catchers for contemporary kitchens as well as beautiful and durable outdoor concrete furniture, including one-off concrete tables. Urban Paving are more than happy to take a look at your plans and provide a free no-obligation quote on the manufacture and transport of the concrete product for your next project.